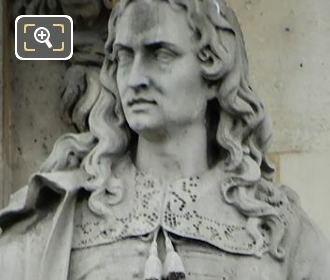 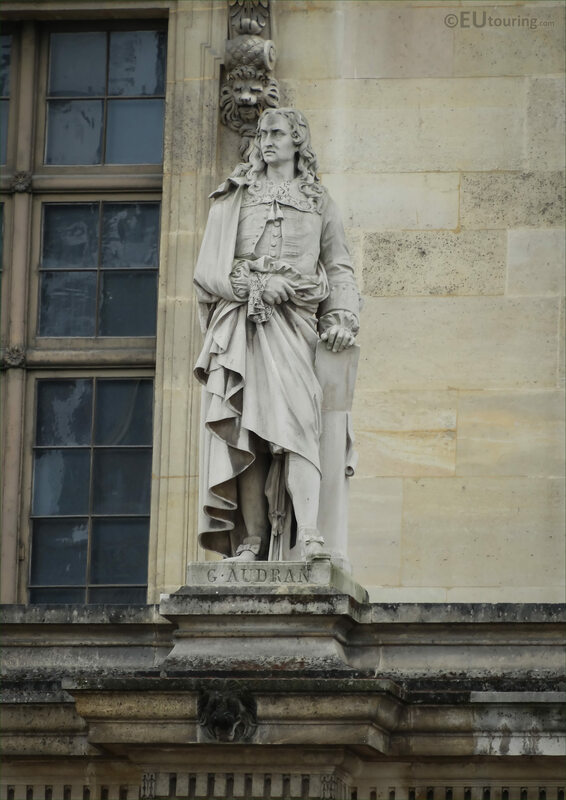 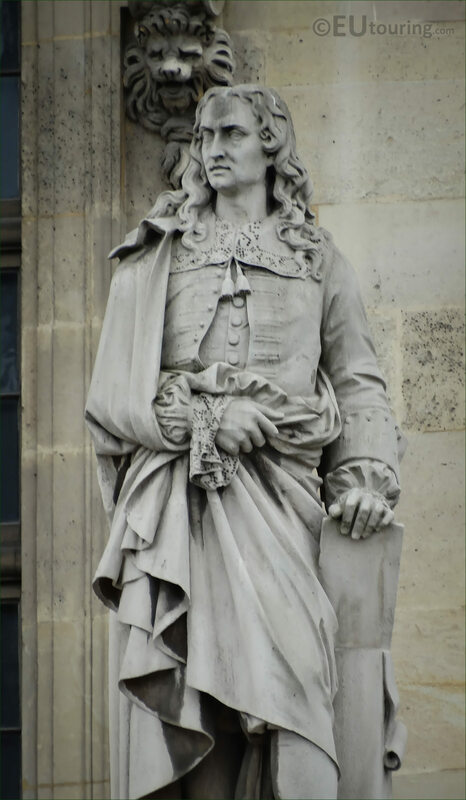 This time while we were at the Cour Napoleon, which is the main courtyards of the Musee du Louvre in the 1st Arrondissement, we took these HD photos of a statue dedicated to Gerard Audran, which was produced by Jacques Leonard Maillet. So this first image shows the stone statue of Gerard Audran by Jaques Leonard Maillot, which is located on the first level balustrade of the wing called the Aile Mollien, which is positioned as the fourth statue from the left in between the windows. Now this next HD photo shows a closer view of the statue, which was produced by Jacques Leonard Maillet, who was born in the July of 1823 and became a French sculptor, working on projects for public commissions involved with the Second Empire programme of decorative architectural sculpture that was put in place in Paris, which is where he passed away in 1894. 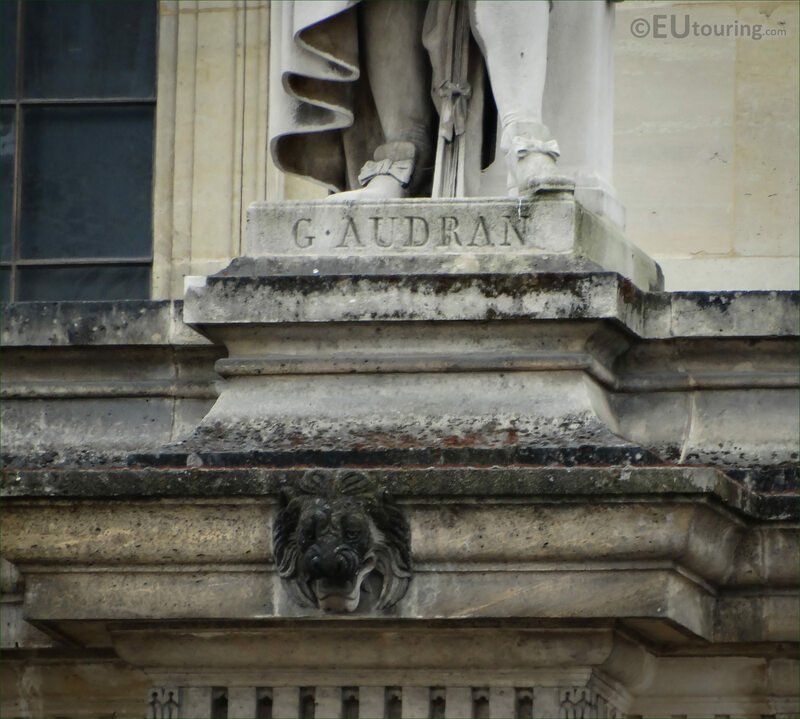 And in this last photograph you can see the plaque located on the plinth at the base of the statue, which as you can tell, is dedicated to Gerard Audran who was born in Lyon in 1640 and became an engraver, who, after being in Paris went to Rome to study and work, yet from the influence of Colbert, he was asked to return to Paris and became the official engraver to the king, Louis XIV.